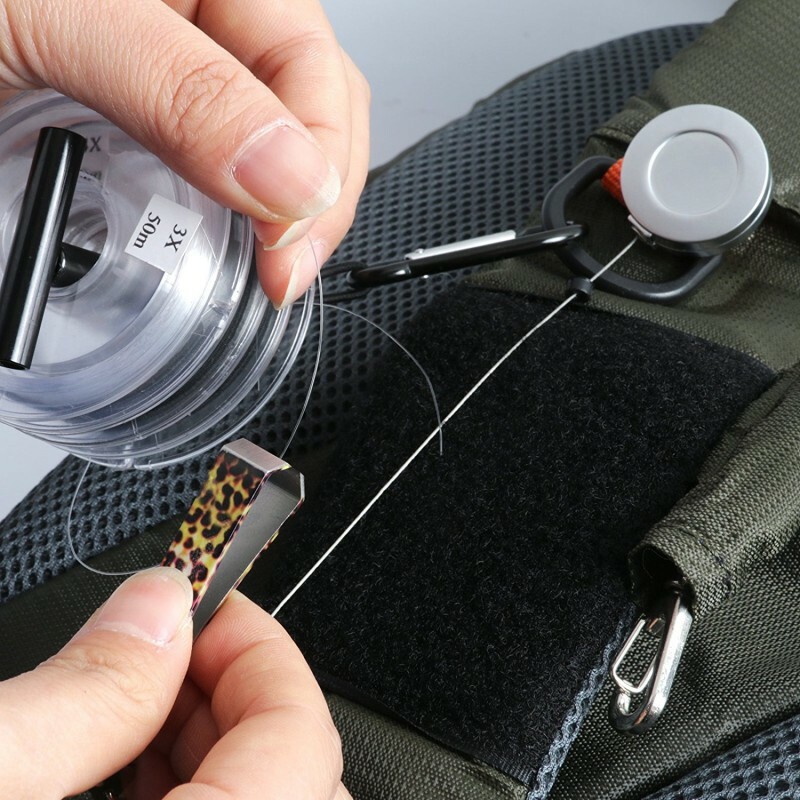 -- Various loop for a net , or other accessories. 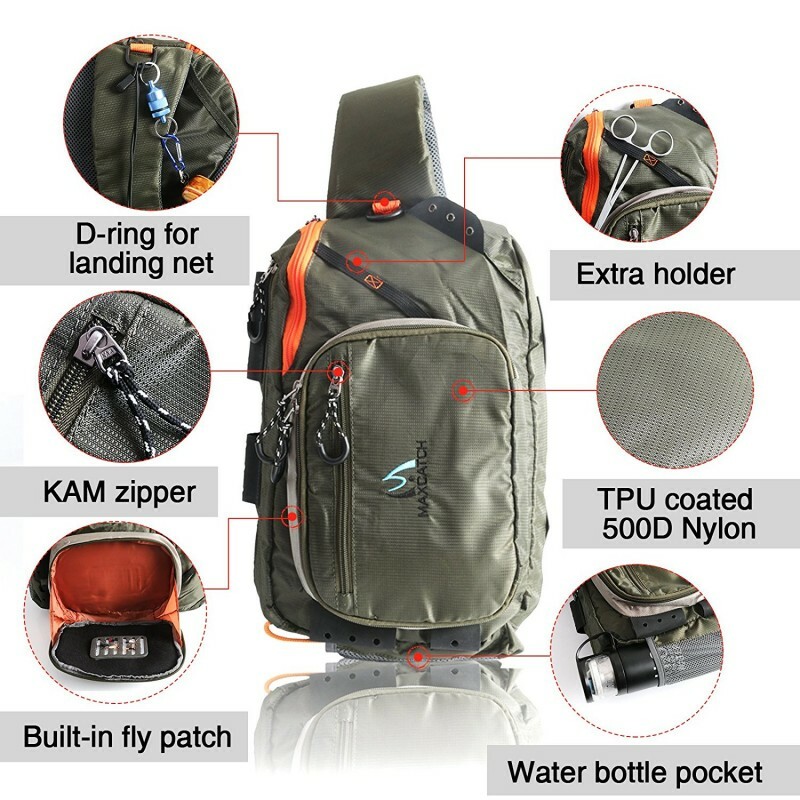 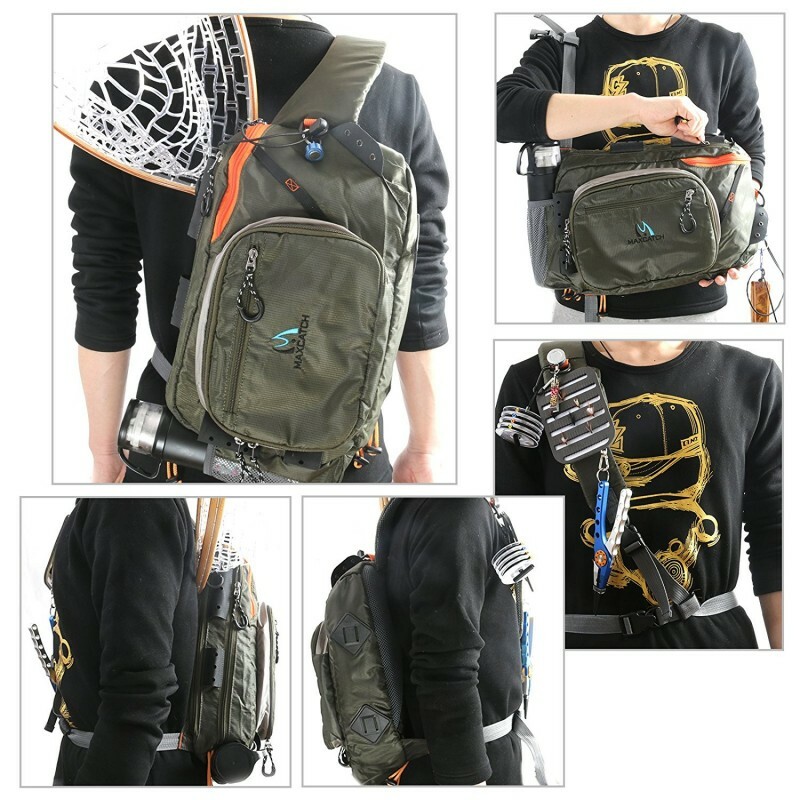 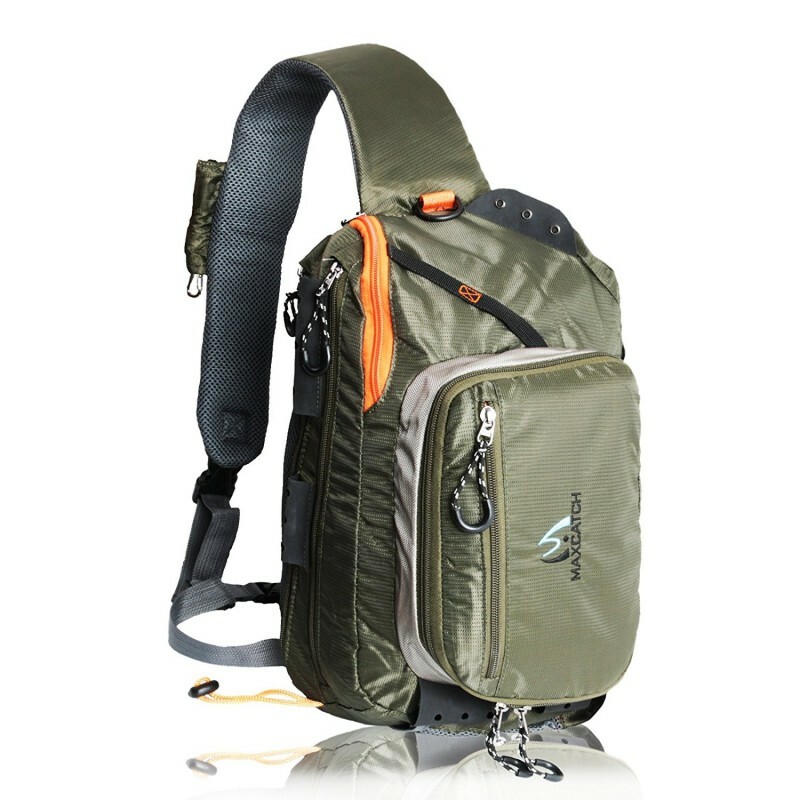 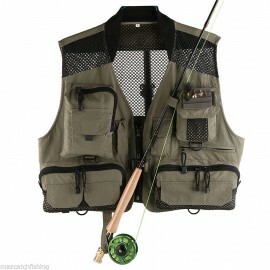 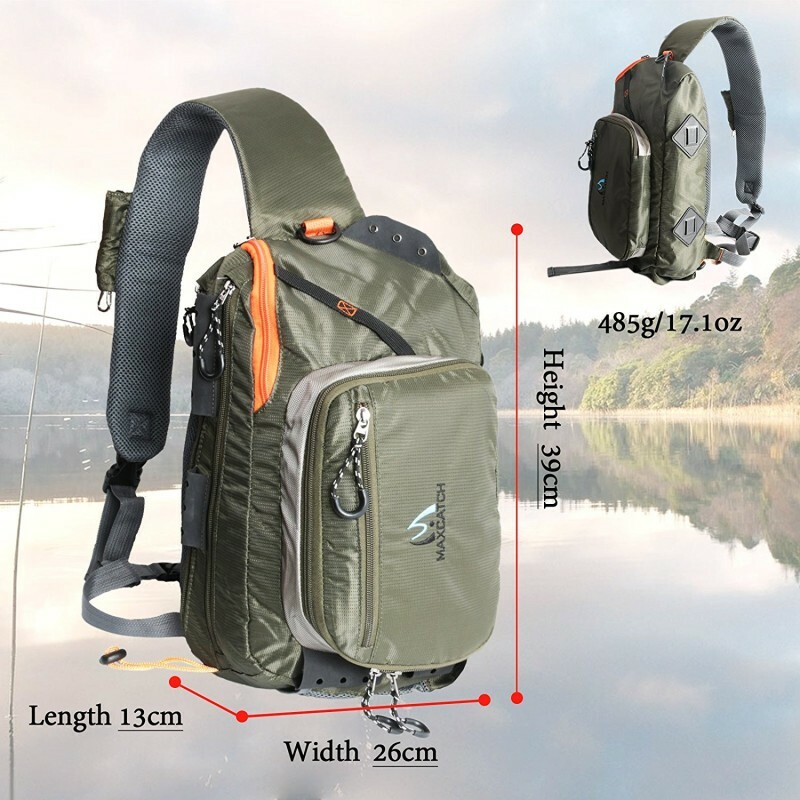 What our sling pack provides is shoulder and hip support to carry all your fishing gears and ease of access. 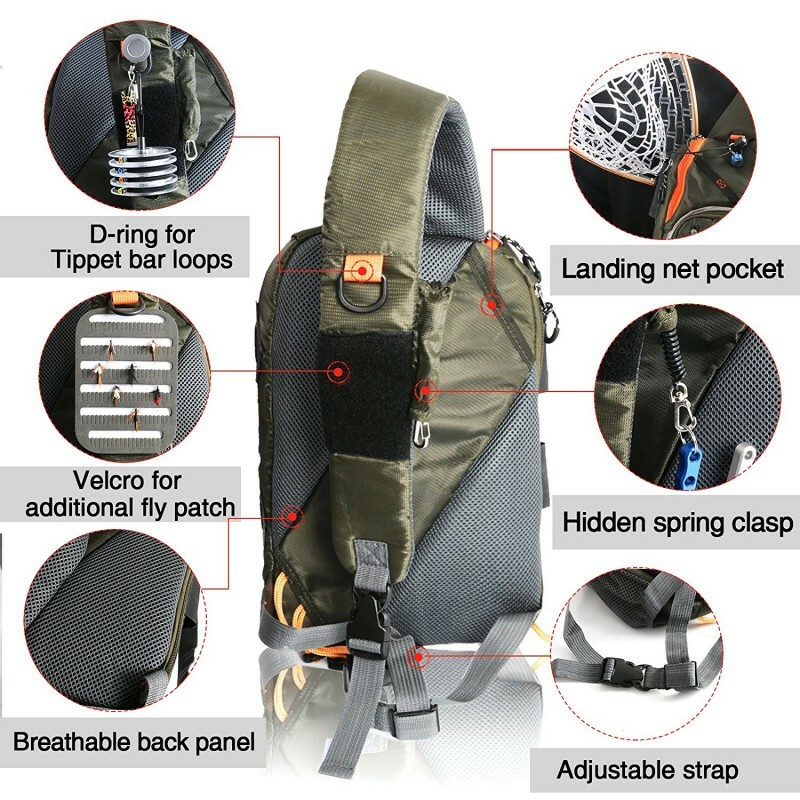 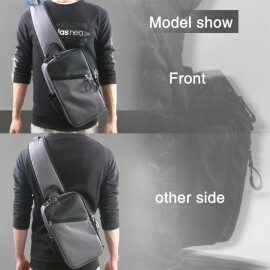 Design of the single shoulder strap is wide enough. 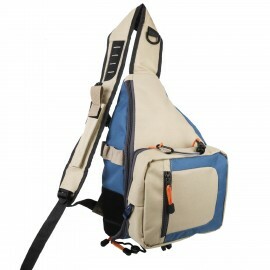 So you will have comfortable feelings even with heavy loads. 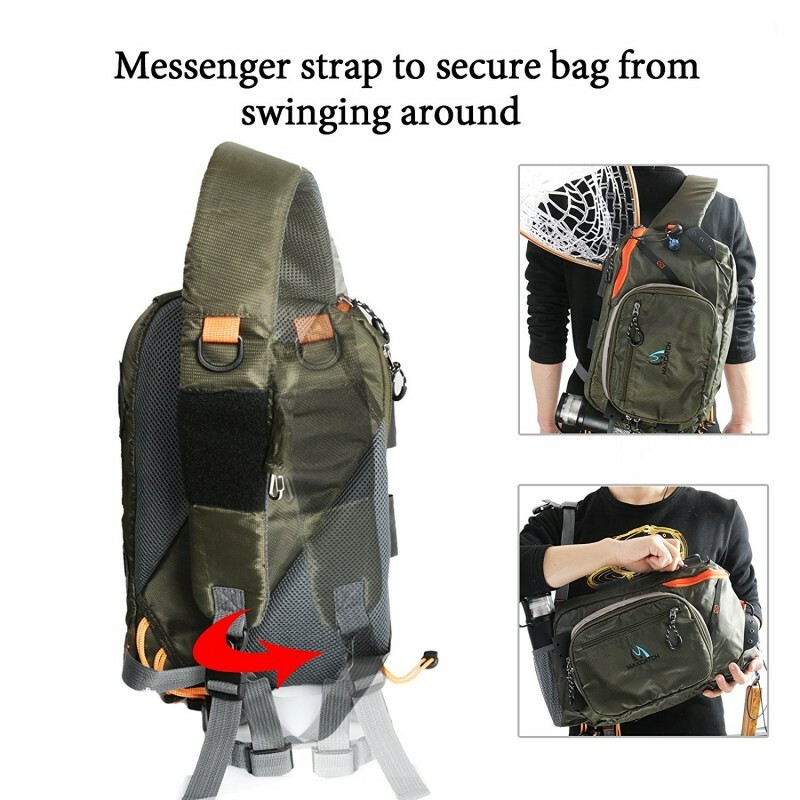 If you need extra support lash the hip straps around your waist. 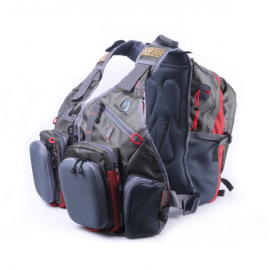 By spinning the bag around to your side and drawing the top-facing zipper back, cavernous inner space is accessed.